(UPM, Helsinki, 24 January 2019 at 11:00 EET) - UPM's and Yara's joint nutrient recycling project has been completed. The Finnish Ministry of the Environment granted funding to this project under the Raki 2 nutrient recycling programme to investigate the possibility of developing a functional and cost-efficient recycled fertiliser for industrial-scale production. During the project, the companies developed an organomineral fertiliser with moderately good yield results. As the production process turned out to be both technically and financially challenging, no profitable business could be generated from the project. The final report in Finnish is available on The Finnish Ministry of the Environment website. Yara is a global supplier of mineral fertilisers, industrial chemicals and environmental protection products. The company has 15,000 employees in 50 countries. 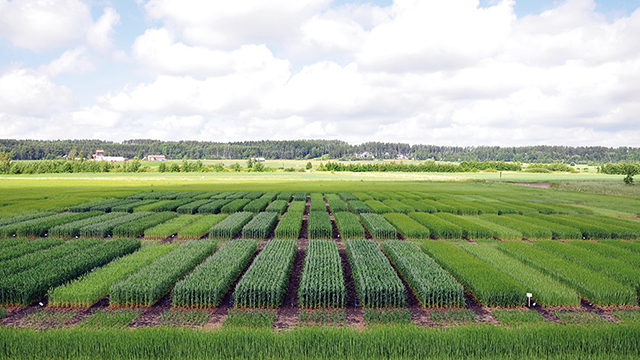 Yara has over 100 years of experience in plant nutrition. Yara Suomi production sites manufacture research-based mineral fertilisers tailored to the challenging farming conditions in Finland. In Finland, we have 900 direct employees, and a little over 4,000 employees in total.